Buy Toilet Paper in Bulk and SAVE! Buying tissue paper in bulk from Pure Planet Club doesn’t just save you time. It also saves our forests, the oceans, our waterways, marine life and wild life too. Plastic is destroying our oceans, and damaging marine life and their eco-systems at an alarming rate, while deforestation for mass paper production accounts for 20% of the world’s greenhouse gas emissions. It’s scary statistics like this that motivates Pure Planet Club to create toilet tissue that impacts the world in a positive way. That means no paper, no plastic, no cruelty. We envisioned a solution that people would feel great about using, so you can have life-changing effects on the planet from the comfort of your own home. 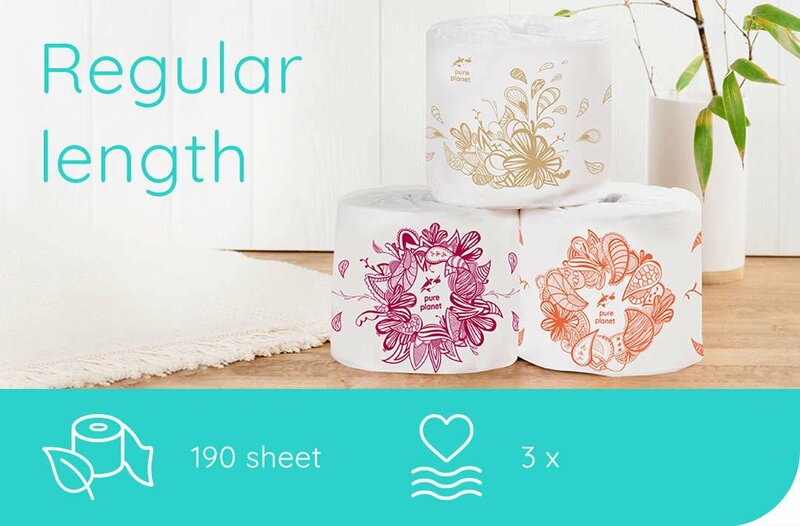 The ideal option for businesses that want to look after their employees, clients and rainforests, buying bulk toilet paper online reduces your impact on the environment. When you buy bamboo toilet tissue in bulk, enjoy savings of 35%. Available on purchases of 10 cartons or more, we ship all across Australia. We’re reimagining the ordinary toilet roll, because we found a better way to do it. By making toilet tissue from bamboo and sugarcane, our rolls are eco-friendly, vegan and 100% free from paper. We’re rolling with a new way of doing things. Because we know you lead a busy lifestyle, we’ve come up with a more convenient way of helping you continue with your eco-conscious values. Buy toilet paper in bulk with Pure Planet Club to save your time and our earth. 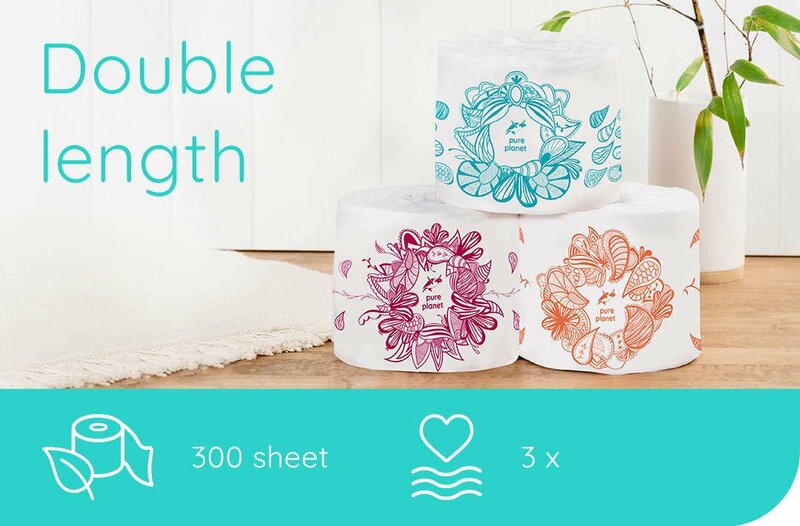 To find out more about our forest-friendly toilet tissue paper, available in bulk and for one-off purchases, you can contact us. Because we know you lead a busy lifestyle, we’ve come up with a more convenient way of helping you continue with your eco-conscious values. Buy toilet paper in bulk with Pure Planet Club’s to save your time and our earth.